Call for rates and more information at 814-623-8100, or visit the Omni Bedford Springs website here. Treat yourself to an affordable overnight stay at Hidden Valley Resort, a scenic mountain conference and lodging center. Centrally located in the heart of the Laurel Highlands, Hidden Valley Resort is a four-season destination that serves as an ideal hub for many nearby attractions and a variety of activities. From skiing, snowboarding, and snow tubing in the winter, to golfing, hiking, fishing, and mountain biking in the summer, you can be as active as you choose. Expert services are offered at the on-site Mountain Spa, as well as an indoor pool and sports club. Call for rates and more information at 814-443-8000, or visit www.hiddenvalleyresort.com. Wisp Resort, Maryland’s only four-season ski, golf, and recreational destination, is located in Garrett County’s Deep Creek Lake area. 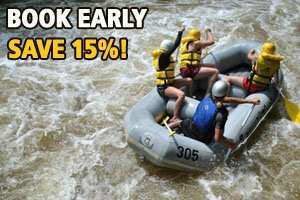 Only 40 minutes from Laurel Highlands River Tours, Wisp Resort offers the complete resort experience with 168 hotel rooms, day spa, indoor pool and hot tub, free wi-fi, restaurants and lounges, and an almost endless list of outdoor activities. Call for rates and more information at 301-387-4000, or visit www.wispresort.com.